The 2018 Audi S6 needs the sport package with adjustable dampers, sport differential, and summer tires. You need it, and it needs you. The 2018 Audi S6 fills the white space between comfortable mid-size luxury sedan and manned spacecraft. The performance four-door hauler can carry a payload of five humans up to 60 mph in 4.3 seconds. The S6 is based on the 2018 Audi A6, which we cover separately, but is the only way to get a fire-breathing V-8 planted into the sedan. A new A6 is on the way for 2019—a new S6 will surely follow. This year, the 2018 Audi S6 is identical to last year’s model, right down to the lugnuts. It last received a rebuff in 2016 when Audi gifted to the S6 new bumpers, a new grille, and quad-tipped exhausts. Don’t mess with success, we say. 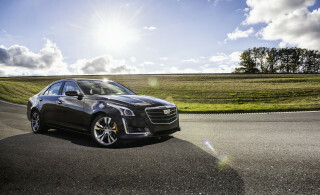 The S6 gets a power-dense twin-turbocharged 4.0-liter V-8 that makes 450 horsepower and 406 pound-feet of torque. It’s shifted through a 7-speed dual-clutch automatic and all-wheel drive, which Audi calls Quattro. A sport rear differential is available on the S6, which helps the 4,400-pound sedan carve a tidier line through a corner. The S6 is handsomely equipped with a standard rearview camera, an 8.0-inch driver information display, Bluetooth connectivity, premium Bose audio, navigation, leather upholstery, and Audi’s infotainment system, dubbed MMI. That kind of standard equipment is impressive, but the S6 faces an existential problem. It’s bookended by stunning S5 and S7 Sportback models that deliver thrilling performance with more expressive exteriors. Put another way: The S6’s plainclothes approach to speed may not be enough for some shoppers—some people just need attention. The 2018 Audi S6 is about what’s on the inside, not necessarily the outside. The 2018 Audi S6 largely follows the A6 from which it’s based, but adds a few cues to hint at its remarkable speed. By and large, the S6 follows the same elegant and modern approach that the A6 sets for it. We say it’s understated—others may call it boring. We’ll keep it to the S6 and discuss its sinewy shape, however. From the outside, a muscular hood and black trapezoidal grille announce its presence from the front. Audi’s character line—the crease underneath the windows that runs the length of the car—appears in direct sunlight and only in lighter shades, and doesn’t much dress up the S6’s profile. In back, quad-tipped exhaust ports fire the V-8’s bellow into the ether, and a small diffuser hints at its need for speed. Inside is a better story, with quality materials presented in another conservative affair. Audi sharpens the S6’s interior with contrast stitching and available red hides, or carbon twill accents. The interior is pleasing, but the engine is what will get pulses racing. Few sedans can match the performance of the S6, and those that do cost a lot more. Audi plants its twin-turbocharged 4.0-liter V-8 as far back in the S6’s engine bay as possible. The engine itself is only about as deep as a case of beer, but much more power-dense and satisfying. Unlike its bigger brothers, the S6 is the only way to get a V-8 stuffed into the A6 body. At 450 horsepower and 406 pound-feet of torque, the prolific V-8 helps propel the car up to 60 mph in just 4.3 seconds. 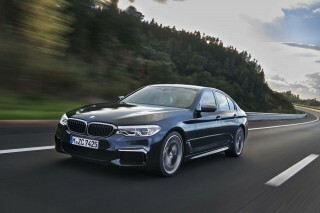 That’s in line with most of the S6’s competitors, which include the Mercedes-AMG E43 sedan, but a half-tick slower than the new BMW M550i xDrive. Like both of those cars, the Audi S6 comes equipped with standard all-wheel drive that helps ground that power through a standard 40/60 front-to-rear split. 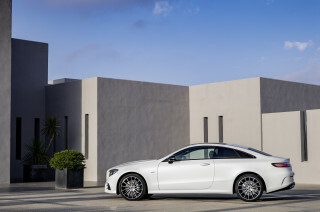 A 7-speed dual-clutch automatic handles shifting duties admirably and seamlessly. 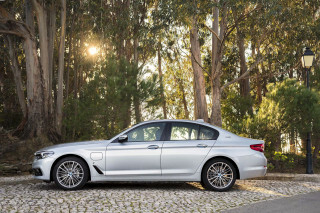 Like the smaller S4, the S6 can be equipped with a sports rear differential that better controls power side-to-side, but also comes with a dynamic steering package that we’re not so hot about. Put simply, the dynamic steering setup can dramatically alter the ratio depending on speed in ways that don’t feel entirely linear, or predictable. If we had our druthers, the rear differential would be a standalone option on the S6’s menu, but we’ll take both if pressed. The S6’s standard handling is precise, albeit somewhat disconnected from the road. With seating for four and ample room, the S6 manages to be practical and powerful. Based on the A6, the 2018 Audi S6 shares the same proportions and the same abilities to comfortably seat four adults (or five in a pinch) with enough room for plenty of gear. By the numbers, the S6 has 114.8 inches between the wheels and is nearly 200 inches from end to end, which is a generous shadow for a mid-sizer. Dimensionally, the S6 isn’t much smaller than the S8—only 2 inches. Rear-seat passengers should have enough leg room to fit behind 6-footers, although deep seats can cut into available space. Front-seat riders have a better view with deeper sport buckets and plenty of available space. The S6 is equipped with leather as standard equipment, but softer hides are available for no charge. The trunk swallows 14.1 cubic feet of cargo, which is enough plenty of luggage, but 25 percent smaller than the new BMW 5-Series’ trunk. Inside, the S6 is trimmed with careful attention to detail and features one of the most straightforward layouts around. In darker shades we’ve noted that it can feel a little cold, however. The S6 lacks safety data, but its bones should make it a safe pick. Federal and independent testers don’t usually throw high-priced sport sedans against a wall, and we don’t recommend the practice either. The related A6 was a Top Safety Pick by the IIHS last year, and received a perfect score from federal testers. In addition to those high marks, the Audi S6 benefits from standard safety features including a full complement of airbags, traction control systems, and Audi’s Pre Sense Rear system that applies the brakes in a rear crash to minimize collateral collisions. Other safety features are bundled in a Driver Assistance package that adds adaptive cruise control, active lane control, and Audi's Pre Sense Plus system, which tightens seatbelts and prepares the car when it detects an imminent collision, that can completely slow down when it senses obstacles changing speeds in the lane ahead. 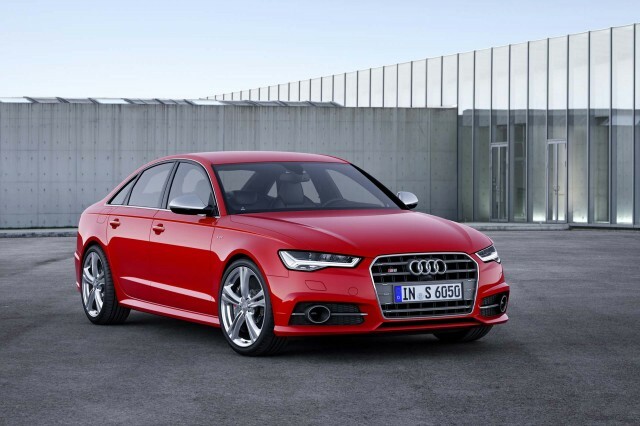 Handsomely equipped to start, the S6 gets better and richer with nearly every option. Audi asks a lot for the S6—$72,875 to start—but also delivers a lot for standard equipment. Out of the box, the S6 includes a standard rearview camera, an 8.0-inch driver information display, Bluetooth connectivity, premium Bose audio, navigation, leather upholstery, and Audi’s infotainment system, dubbed MMI. Optional equipment for the S6 largely mirrors the A6, with a few key additions. The S6 offers an available sport rear differential bundled with a sport exhaust, dynamic steering ratios, and red brake calipers for $3,900. 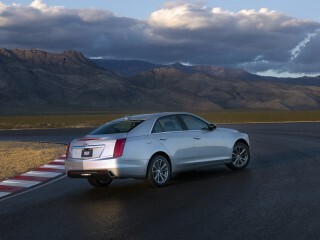 They had us at rear differential, which helps the S6 stick and move like a middleweight champ. From there, Audi offers a sublime Bang & Olufsen audio system ($4,900), optional summer tires with 20-inch wheels ($1,000), active safety suite ($2,550), and cold-weather package ($500), all with varying degrees of usefulness. Other options include a night vision camera, Alcantara headliner, and massaging front seats that we think are all easily avoidable for the S6. Want our advice? Unlock every inch of performance in the S6 with the sport package, and the rest is just gravy. Baby the S6 and you might manage 20 mpg combined. But why would you want to do that? Sport sedans aren’t typically known for their frugality and efficiency, and the 2018 Audi S6 is no different. 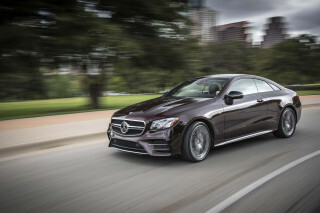 Good news: Mercedes-Benz’s E43 AMG and the BMW M550i xDrive only manage 19 mpg combined. 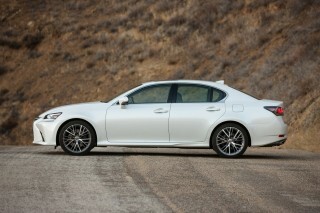 For a twin-turbo V-8, nearly 20 mpg combined is passable. But then again, if you’re driving the S6 like it begs to be driven, you’ll pass everything and blow right by those estimated numbers. Looking for a different year of the Audi S6?